Personal finance hacks to make the most of your bank account. 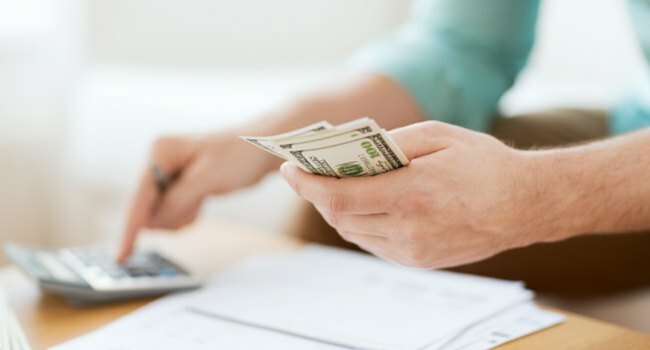 Whether you’re looking to open a bank account for the first time or you’ve had an account for many years, here are some personal finance hacks that can help you make the most of your account. If you’re still reeling from the holidays, you may find yourself inundated with cards, wrapping paper and more clutter than any other time of the year. One sure way to help this clutter-filled situation is to take advantage of Online Banking. For the average consumer, Online Banking usually goes no further than simply accessing your accounts from a computer or having your bank’s mobile app, but there is so much more it has to offer that you should take advantage of. Extra paper in the form of general bank statements, bills, bank offers, etc. take up so much space in your mailbox and eventually ends up inside your home. With a couple of quick clicks on your bank’s website you can eliminate much of your bank’s paper correspondence. Sign up for e-statements (also known as paperless statements), receive everything through email, and feel better knowing that not only are you helping yourself but you’re also helping the environment by going green. 2. Bills that pay themselves. This may sound counter intuitive, especially if you’re trying to manage your finances more closely. But with busy work schedules, plans and appointments to remember, taking bill paying off of your plate can be a real-time saver and is easier than you think. Installment payments (such as rent or mortgage, car payments, personal loans, insurance, etc) require a checking account number and routing number to automatically withdraw payments, and credit cards can be easily set up to automatically pay the balance each month or a set amount. It’s usually just a matter of logging into your account, picking a date and confirming an “autopay” option. 3. Look into what your bank really offers. Something the majority of us are probably guilty of doing is accepting terms and conditions without reading all the fine print. In similar fashion, we may not research and be aware of all our bank really has to offer. For example, most banks nowadays offer “Bill Pay”, which is an online service that allows you to set up an auto-payment for those one or two bills that you still mail out a check payment to each month. To get started with Bill Pay simply 1) strike up a conversation with your local teller and 2) fill out a simple online registration. This is just one of the many services banks offer. The resources to stay on top of your finances this year are all available at your fingertips, just visit your bank’s website or stop by your local branch to get informed. 4. New year, new bank account. It may feel like New Year’s was soo long ago and any financial resolutions you may have made are long forgotten. But it’s not too late to get back on track, especially if it involves an account that pays you! Throughout the year, but more so during the beginning months, there are plenty of incentives to open a new account with a local bank. Offers range from $50 to a couple hundred bucks to open a new account, set up direct deposit or maintain a minimum balance. Not only does Pentucket Bank have a similar offer but we also make it easy to bring over your accounts without missing any key steps with our Simply Switch Kit. At Pentucket Bank we offer a full-suite of Online Banking services and deposit accounts that can help you stay on track with your financial goals. We are a local bank with branches in Haverhill, MA, North Andover, MA, Salem, NH and Hampstead, NH. Send us an email or call us today at (978) 372-7731to see how well our accounts and online services match up with your banking needs.